Our balanced curriculum prepares children for elementary school: emotionally & intellectually. 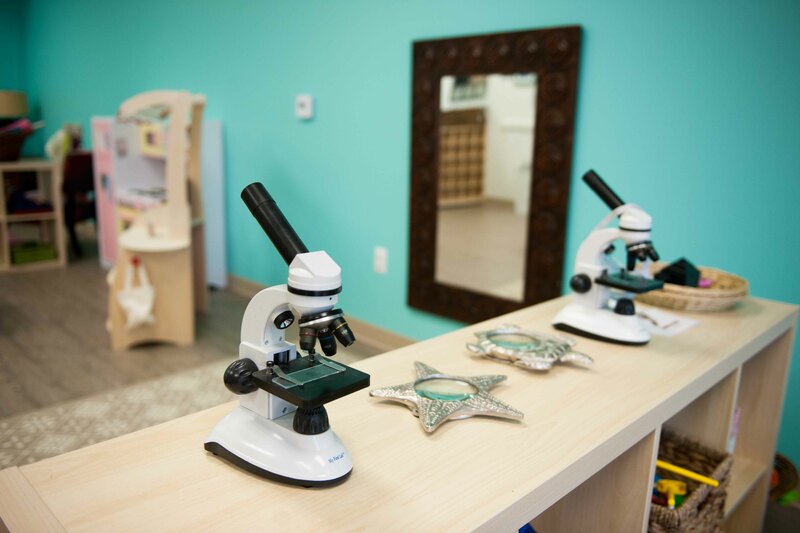 Our learning community encourages the process of children’s natural curiosity and their desire to make sense of their environment to guide the learning process. This type of approach builds children’s confidence in their abilities to discover, explore, notice, wonder, and document. Our curriculum reflects a balance of various philosophies and practices. It is STEM focused and fosters 21st century skills. Each moment of our day offers opportunities to explore, questions to pursue, hypotheses to investigate, and discoveries to celebrate. Inside every child is a scientist and mathematician, it takes a gentle nudge from an insightful teacher to bring this out. Many parents ask if we are “play-based” or “academic.” Our answer is that well designed schools are both. A well designed program should not be one or the other, it should encompass all areas of intellectual development. The traditional debate in early childhood education is that ‘free play’ preschools or ‘formal academic instruction’ are the only two options for early childhood curriculum. This is not the case in a well-rounded integrated program. Certainly some proportions of time can be given to both of those kinds of curriculum components. In the early years, a major component of education must be to provide a wide range of experiences, opportunities, resources and contexts that will provoke, stimulate, and support children’s innate intellectual dispositions.